Another season of Big Brother is underway, and for the 16th season contestants for the summers biggest reality game show/social experiment have entered the house in a two show premiere. Without delay the house-guests are facing their first week on slop. What is slop, you ask? Slop is somewhat of an oatmeal like powdered protein product that house-guests have described as “metal protein powder”. In Big Brother tradition, slop is a food substitute given to the house-guests who are declared the weeks suffers in the Have/Have Not competition each week (this may change this season! Stay tuned for updates). America’s vote has in past seasons offered two food items that have not’s are allowed to eat along with the slop however, we have not seen any America’s Choice as of today. Along with this slop mixture and the two voter items the have not’s may also consume condiments from a list provided by big brother. Here at Slop Du Jour, I will attempt to bring you news and happenings about “What’s cooking in the BB House”, bring you some of the recipes of the HG’s attempts to make things with slop, along with news of all the regular things happening in the house and in the game. We’ll do some fun photos and some mash-up’s and screen-caps where I can! 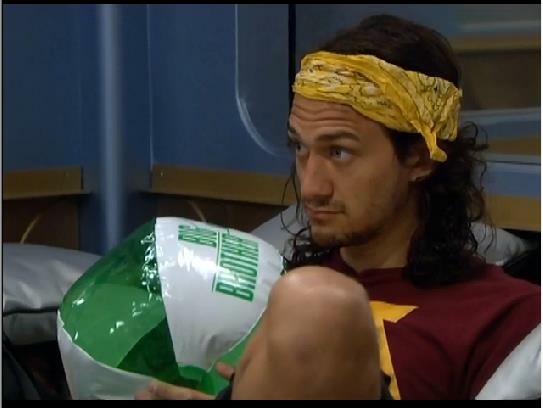 The have-nots have sure been eating lots and lots of grapefruits and guacamole this week in the Big Brother house. Amanda, McCrae, Jessie and Judd have been suffering through on the same slop dishes and sure did not seem to have the energy to get creative with new dishes this week and someone threw away all the slop Amanda made and had stored in the refrigerator! I myself have even found it difficult to come up with any amazing ideas with this week’s America’s choice foods (common America, I need something to work with here!) so this week I came up with some beverages (Amanda was complaining about nothing to drink for have-nots) that can be created with just have-not items. The house guests were wishing for a soda machine (the machine that can make pop from flavored water) as a luxury! Maybe a hint of something to come! In a heavy saucepan, combine the ingredients and warm over low heat. When small bubbles appear around the sides of the pan, remove it from the heat and let the mixture sit at room temperature for 15 to 20 minutes. Place the pan back on the stove and rewarm the mixture, whisking it briefly to redistribute the skin that forms on the milk’s surface. Pour the vanilla milk into two 8-ounce mugs and top with a sprinkling of cinnamon. Drink hot. In a medium pot, combine juice, honey, cinnamon and 1/2 cup water. Bring to a boil over high heat; strain and discard solids. Serve with a grapefruit segment or strip of zest. These drinks would certainly bring calories, and some filler for empty have not stomachs in the BB house! 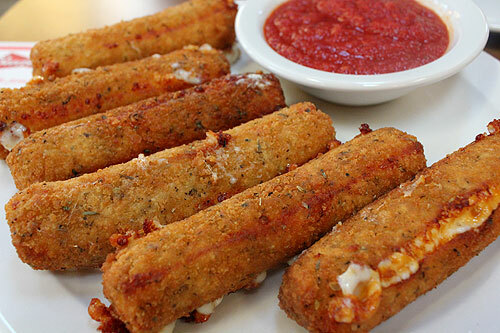 So next weeks have-nots will hopefully have something amazing that we and they can create a whole lots of amazing eats! Here is a peek into the BB house 3 or so hours before the live show.. Amanda is cooking up a HUGE portion of fried slop with Salsa for she and McCrae to eat for before the live show! Tune in!!!! 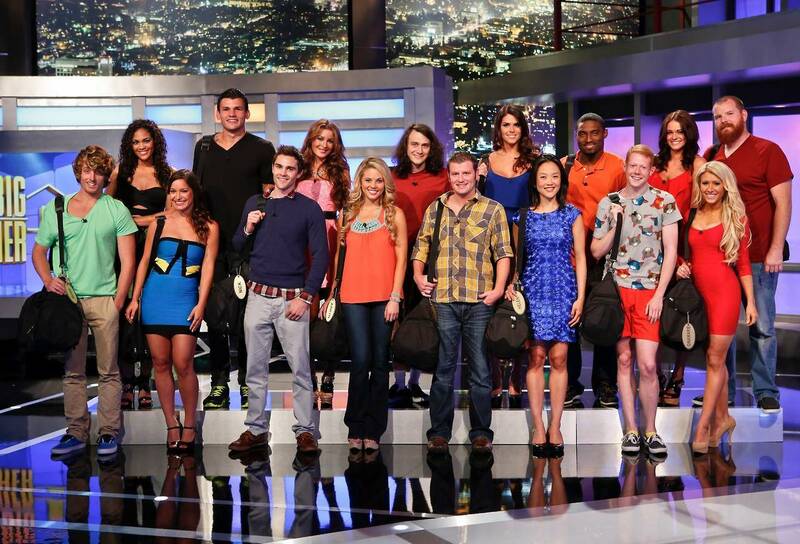 The cast of Big Brother 15 just before they entered the house. There has sure been a good deal of controversy in the house this past week, and we at SlopDuJour feel that the behavior of the house guests who have been featured on the news, TMZ and on the Big Brother live feeds has been a nasty look at how people can be vicious, cruel, vile and inhumane. We do not condone or support racism or racist behaviors and attitudes and that all people should be treated with as much kindness as possible. 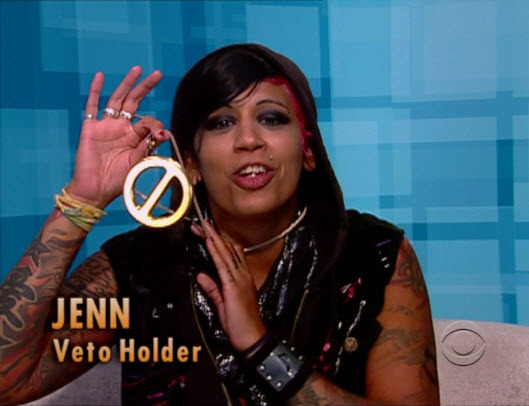 I personally love BB and I have since season 1 and hope the persons who continue to spew racist garbage are evicted swiftly and they alone suffer the consequences of their actions at face value. Described by the houseguest Elissa on this summers sizzling hot show Big Brother as, “The healthiest muffins you can ever eat” this summers have-nots are already getting creative and concocting their own tasty and much-needed meal plan. Have Not muffins were created earlier in the season by Amanda and have now blossomed into a full-fledged and very healthy food source for those who are doomed to suffer another week worth of Airplane seat beds, slop and america’s choice. The Muffins don’t even have slop in them, but are made instead with the whey protein powder they are allowed to have. Here is how they are doing it! 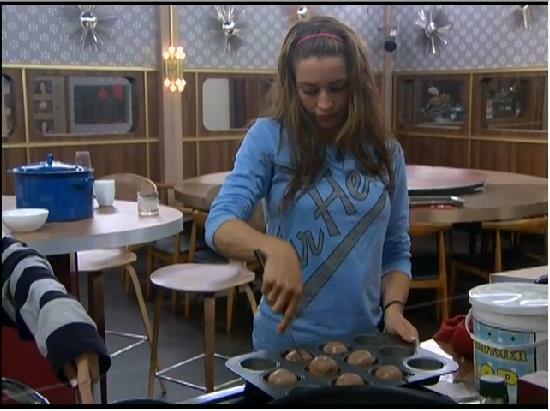 Elissa removes the muffins from the tins. Mix all ingredients until batter has a wet brownie type consistency. Add whey Protein Powder if mixture is not thick enough, soy milk if it is too thick. 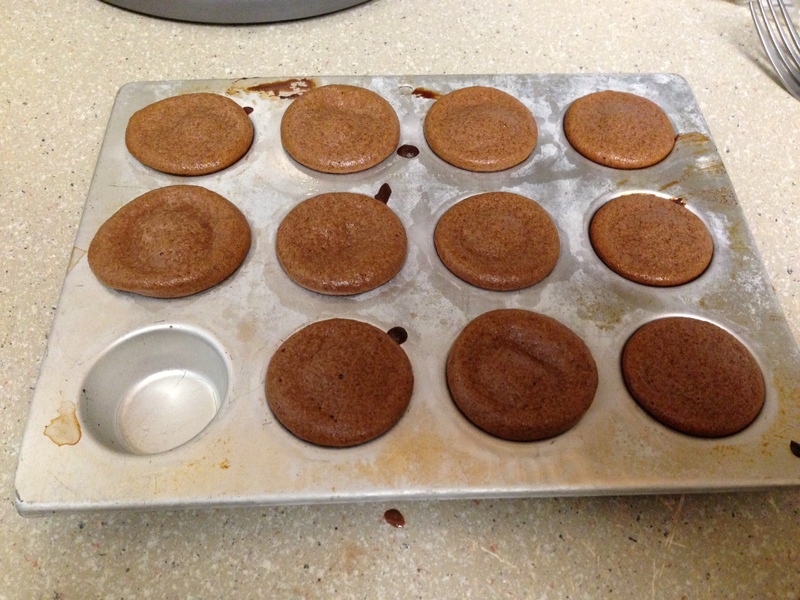 Pour well mixed batter into buttered or lined mini or regular size muffin tins. Fill each about 3/4 the way full. Bake in oven at 350 degrees until a toothpick can be inserted and then extracted clean (approx 10-15 minutes). Icing can be flavored (the first time the HG’s made this, they used cinnamon flavoring) or can be just mixed and used to frost or dip. I made these muffins this morning and they are pretty good! An excellent source of protein and not the worst thing I have ever eaten! Till next time… enjoy your SlopDuJour! I’m David, I’m a Lifeguard in San Diego..and uh….yeah! Another exciting season of Big Brother has begun, and without delay the house-guests are facing their first week on slop. What is slop, you ask? Slop is a food substitute given to the house-guests who do not win the Have/Have Not competition each week. It is somewhat of an oatmeal like powdered protein product that house-guests have described as “metal protein powder”. I will attempt to bring you news and happenings about “What’s cooking in the BB House”, bring you some of the recipes of the HG’s attempts to make things with slop, along with news of all the regular things happening in the house and in the game. We’ll do some fun photos and some mash-up’s and screen-caps where I can! Let Big Brother 15 Pre-Season Begin!!! 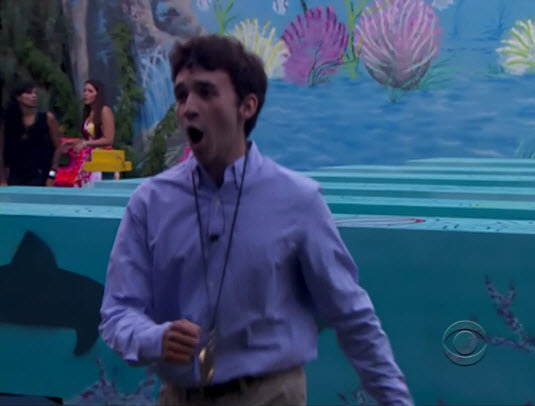 Big Brother 15 is RIGHT around the corner!!! The Hollywood Reporter released photos today of the new house (some of it!) leaving some rooms for a surprise for the anticipated first show of the season! 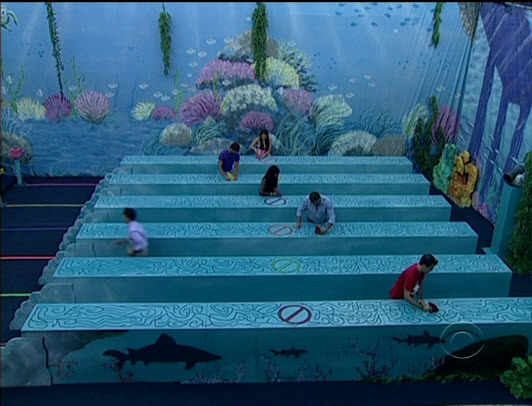 Clues to the season are being dissected now by BB’s biggest fans and supporters! Rumor has it, 15 or maybe even 16 brand new house guests will enter the house and that always makes for a great season! CBS is hosting the Live Feeds this year! Check out CBS.com for details. Photos are from the Hollywood Reporter.. click the link to see more! 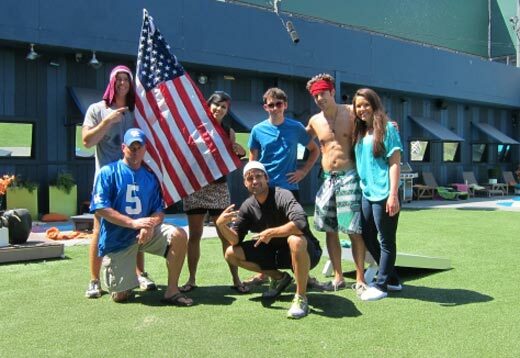 Stay tuned to SlopDuJour to get the story on what’s cooking in the Big Brother 15 house this summer! I will be bringing you all sorts of news and incites and maybe even some insider information on the house guests!